Murphy's Cove is a newly built, modern, two story home established in the spring of 2004. 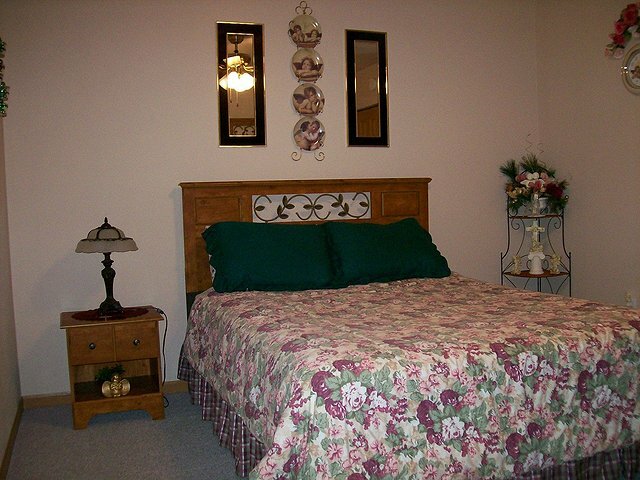 It has three bedrooms, all with queen sized beds; two baths with bedding and towels included. 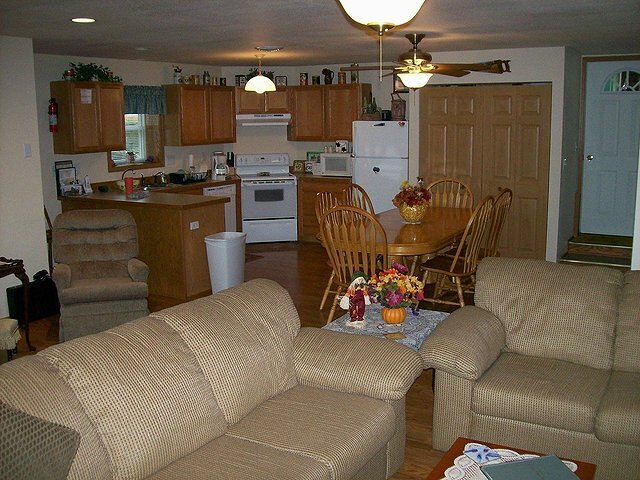 The fully equipped kitchen includes a microwave and dishwasher. 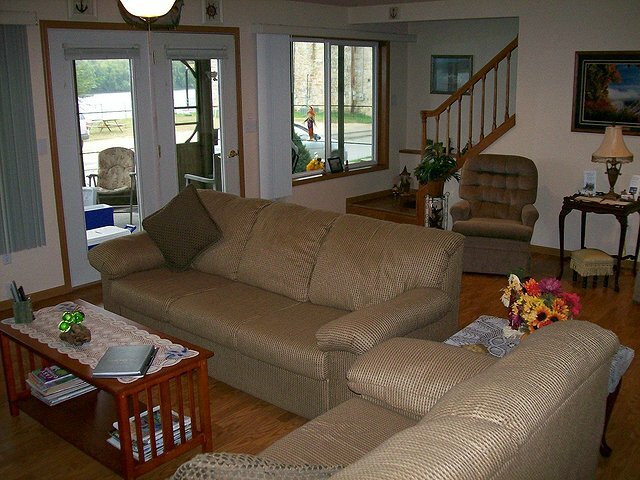 A comfortable living room with cable TV and a VCR-DVD player and two roomy porches offer a beautiful view of the Mississippi River and the Black Hawk Bridge. Murphy's Cove is rented as one complete unit. 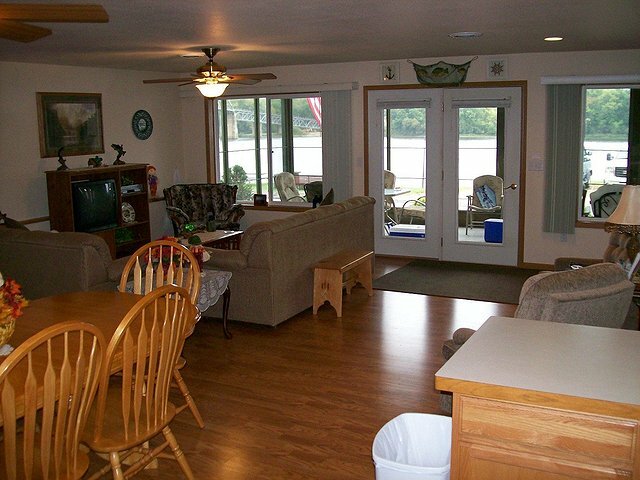 Enjoy the sunrise on the upper deck off the master bedroom while you watch barges and riverboats navigate the river. Click pictures above for a closer view. Here's what people are saying about Murphy's Cove. "We've stayed in quite a few places around the country and Murphy's Cove tops the list. 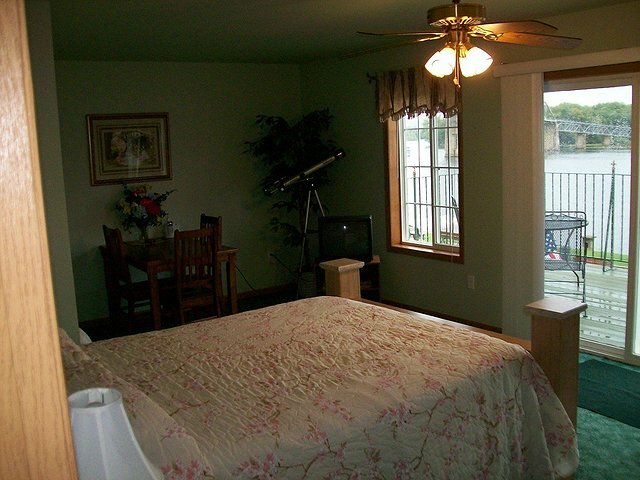 Had a great vacation right here in your beautiful home with a million dollar view. You've created a little slice of heaven. We're impressed with the attention to details... you've thought of everything! We're so impressed we've already booked for next year." "What a perfect place for our girls weekend!! This is by far the best place to stay in the area. You've thought of everything. Hope to return soon!" 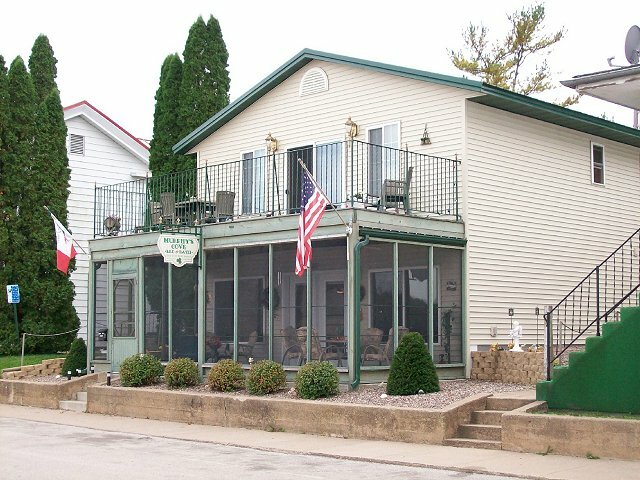 Copyright © 2009 - Murphy's Cove, Lansing, Iowa - All rights reserved.